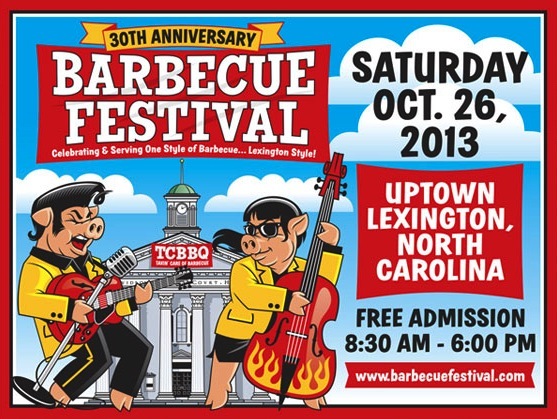 30th Anniversary Lexington Barbecue Festival | Whats Happening? LEXINGTON, N.C. — This year the Lexington Barbecue Festival is celebrating its thirtieth anniversary with more than 150,000 people expected to attend Saturday’s events. The entire city spent weeks getting ready for the big day–restaurants like the Barbecue Center have already prepared more than 120 gallons of slaw and will start cooking the barbecue on Thursday. Even businesses that do not serve barbecue will benefit from one of the nation’s most popular food festivals. The Candy Factory on North Main Street sees four times their normal business. “Candy goes with everything. Can’t have BBQ without a little sweet at the end,” explained Jeanne Leonard, owner of the Candy Factory. The Barbecue Festival is the only day of the year that Amtrak makes a “pit stop” in Lexington. Organizers expect to see more than 300 people from Raleigh and Charlotte come in on the train. Vendors will go through more than 15,000 pounds of barbecue at the annual festival. Find more information on the Barbecue Festival here.